New crop arrived July 2012. Coffee very similar to this was the #4 winning lot in this year's Best of Panama competition where Carmen Estate was the top ranked non-geisha coffee and sold for $16 per pound. Carmen Estate is located in the Volcan Valley part of the Baru Volcano region of Panama, near Boquete. The valley is considered the most important coffee growing region in Panama due to its elevation, dense vegetation, volcanic soil and diverse micro-climates. 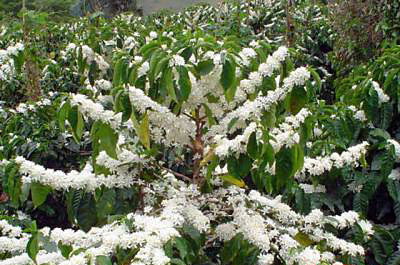 The cool, frost-free nights coupled with dry, sunny days create ideal coffee growing conditions. 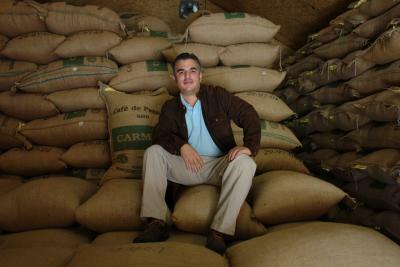 The farm�s coffee is grown at an altitude of 5,600 feet. Varietal is Caturra and it is shade grown. Carmen Estate is a family owned farm under the current leadership of Carlos Aguilera. They produce about 1200 bags of green coffee annually of Catuai, Caturra and Typica varietals but this coffee is solely Caturra. Coffee is harvested from December through March, hand picked by the Nobes, the indigenous people of Panama. Processing is fully washed followed by both sun and mechanically drying on the farm. Carmen Estate practices strict agricultural and environmental standards; the farm is more than half forested by native trees, which naturally shade the coffee. Cupping Characteristics: A very clean, bright cup, Carmen Estate is a classic Panama coffee full of subtle citrus acidity. It is refined and sweet with layers of delicate flavors including chocolate and fruit. Extremely well balanced with a pleasingly dry finish. Roasting Notes: City + to FC maximum. Keep it on the light (City+) side to retain the citrus brightness and keep away roasty flavors.